Tanzanite is a relatively modern gem. 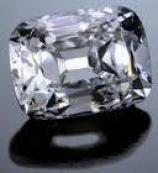 The discover was in 1967 by the Maasai herders who found the blue crystals in the Merelani Hills near Arusha Tanzania. 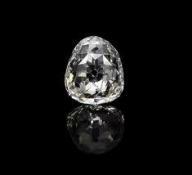 They showed it to a prospector named Manuel d’Souza, who promptly registered claims with the government of Tanzania to begin mining. He thought it was sapphire at first, but the crystal was identified as a blue variety of zoisite. Tiffany & Co. agreed to become many distributor in 1968 and promoted the gem as a substitute for sapphire and called it tanzanite. 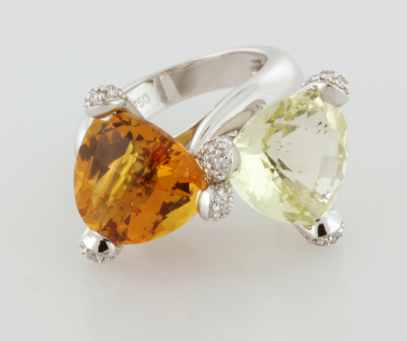 Citrine is another gem for November birthstones. Natural citrine is a rare occurrence. 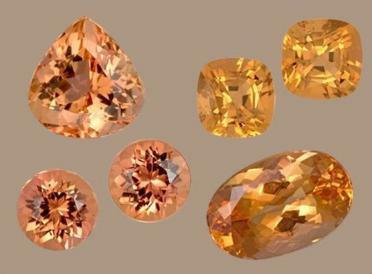 Before modern mineralogy citrine was often confused with topaz.